Running your own business isn’t easy. In many ways it’s much, much harder as we self employed have to wear so many different hats. Add to the mix juggling kids and parents, being constantly switched on to our phones and iPads… it’s no surprise that anxiety and stress is rife. Ok, so that’s the bad bit! 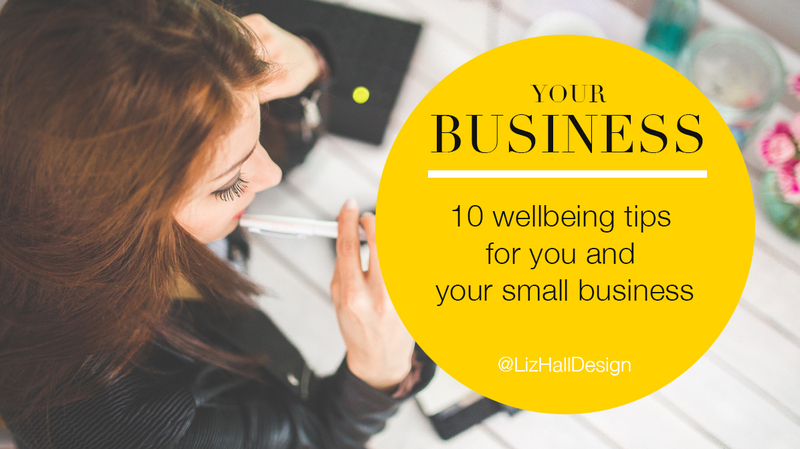 The good bit is that you’re running a fabulous business that you love, you’re your own boss and there’s loads of things you can do to create some wellness in your business life. Small tweaks and changes in your business life can make a huge difference as I’ve learnt over the last few years of running my own graphic design business. Fairs, events and exhibitions – you may go regularly, you may have been invited to attend one or you’re still thinking about attending one. You might even have a small stand at a networking event. You’ve invited all your contacts to your stand, sent them an email, directed them to your website and reminded them on social media. What next? 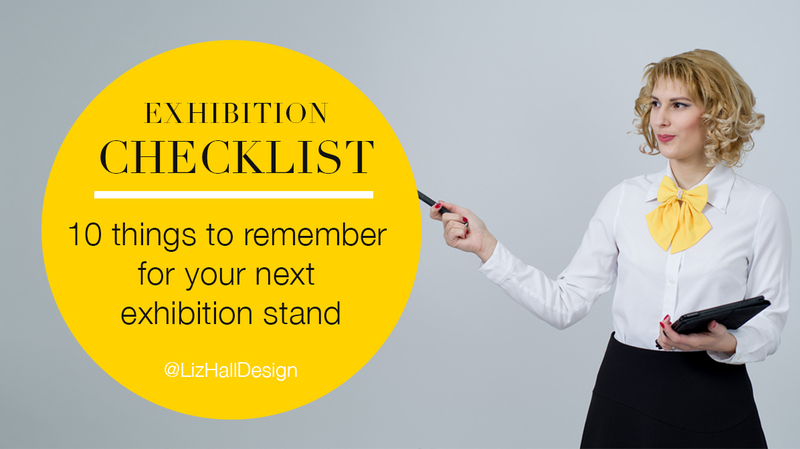 I’ve created a list with some essentials to help make your stand look cohesive and branded, and ensure that you’re giving your visitors a good experience of your small business so they hopefully remember you when they’re back home. And you can concentrate on the important part, meeting people and selling your products or services. I’m a real sucker for a beautiful, well thought out parcel. I’ve reordered from places simply because I’ve loved the parcel they sent me. Obviously, I’ve loved the products too but I could have got them from some where else. But I didn’t. The anticipation begins as soon as you place the order, you’re waiting by the letterbox every day for the postman to arrive with your longed for goodies. It’s even more exciting if you recognise the packaging, that small extra special touch. Opening the parcel and unwrapping your goods becomes an experience in itself which you want to share with your family and friends, you want to tell every one how lovely it was. You’ll probably never meet most of your customers. So this parcel they receive should be as enjoyable as the goodies they have bought. 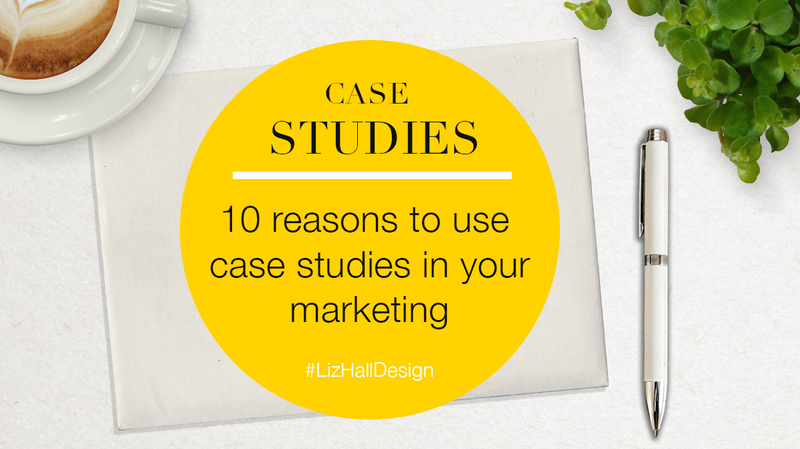 Your branding and customer experience shouldn’t stop at your website, that’s just the start. It should continue right down the line and straight into their hands. And these ideas aren’t only for the on-line retailers among you. Any retailer who sells a product wants their customer to have their full brand experience – gift shop, florist, cake maker, clothes shop. 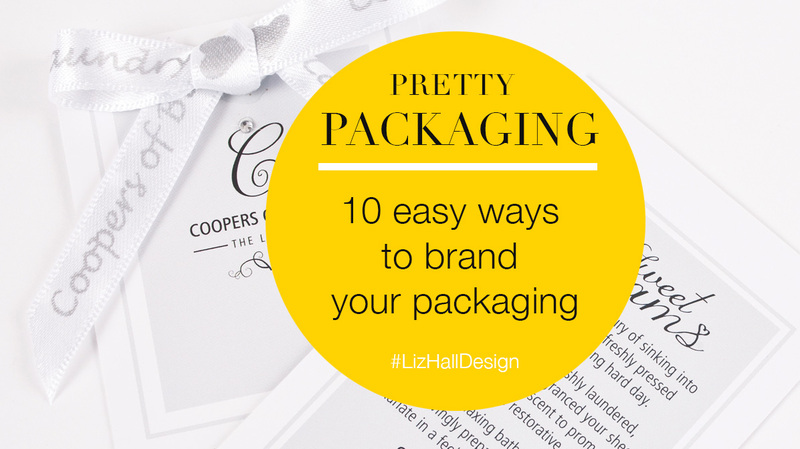 Even the photographers among you are using beautifully branded packaging to complement your gorgeous photos. Every year, as we dip towards Winter with its longer, darkening evenings and the ending off the old year, I feel the urge to discard things I no longer find useful or have never been needed in my home and life. The declutter bug comes nudging. And never more is it needed than in my office space where office clutter and business stuff just seems to grow and multiply. 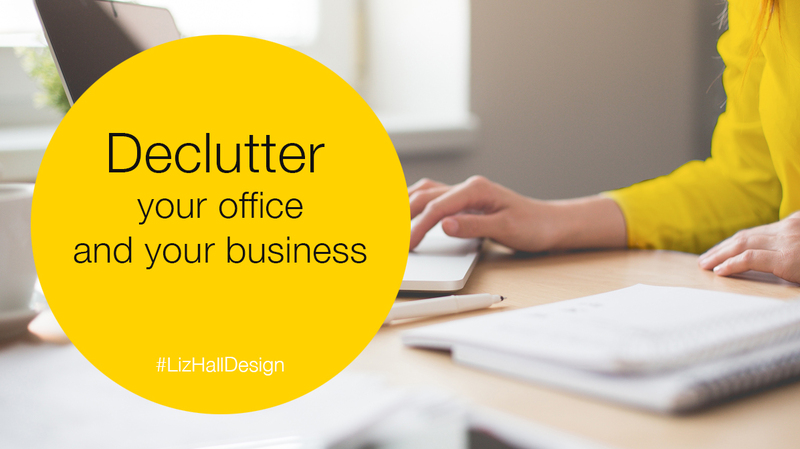 I’ve been inspired by the lovely Hazel Dow from Freespace to write a blog about decluttering your office space and making it a beautiful and healthy space to work in. When I first set up my own business one of the first things I did was set up and organise my desk (probably like a lot of you). I had my lovely, shiny new Mac and I was all ready to go. It wasn’t until quite a few months down the line that I realised that I’d set my desk up just like I’d had it in paid employment – very dull and utalitarian and strewn with papers. Because I was trying so hard to prove I was serious about my new business venture, my desk got all serious too. It didn’t make me feel very happy and it didn’t make me feel very creative. My turning point was when I bought a lovely wooden desk and I wanted it to look beautiful. And I wanted to walk into my office every morning and feel energised about starting the day. And it was New year around that time so I was wanting to feel healthier too. So this culmination of events made me rethink my work space. Over the past five years, through running my own business, I’ve met some fabulous business owners who have helped me make my life healthier.